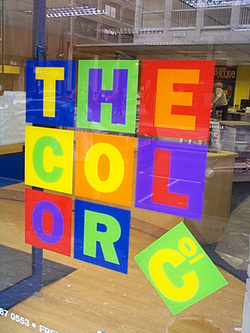 We have a wide range of window graphics, self adhesive stickers and poster holders to help your business stand out from the crowd. All graphics are printed in-house using the latest cutting and printing equipment, which means you have maximum control over the process and save money by cutting out the middle man unlike many graphics retailers. We pride ourselves on getting your graphics to you as soon as possible, and aim to dispatch all window graphics 3-5 days from the date the artwork is approved.